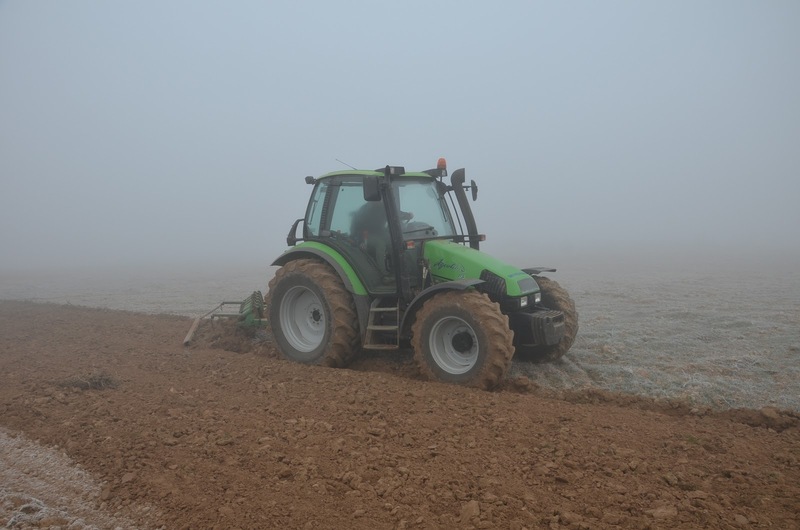 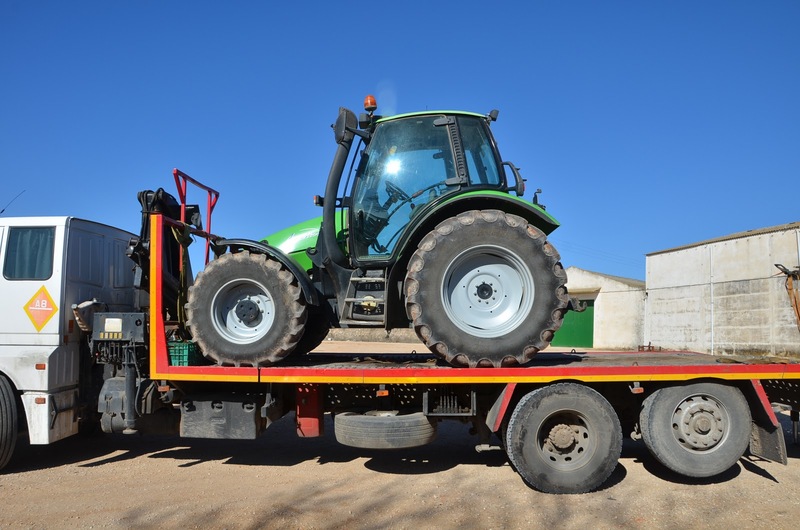 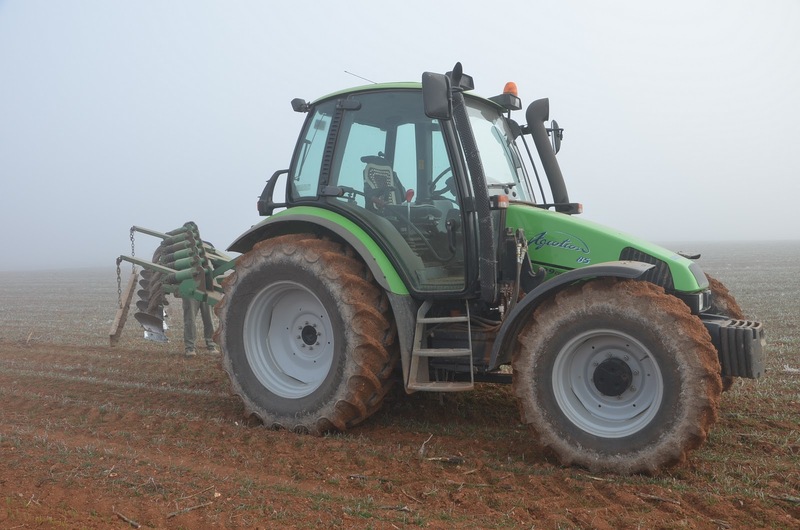 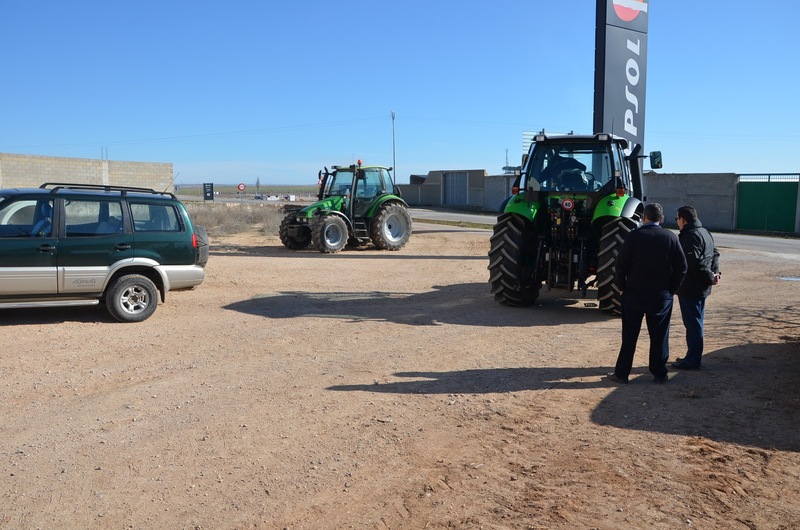 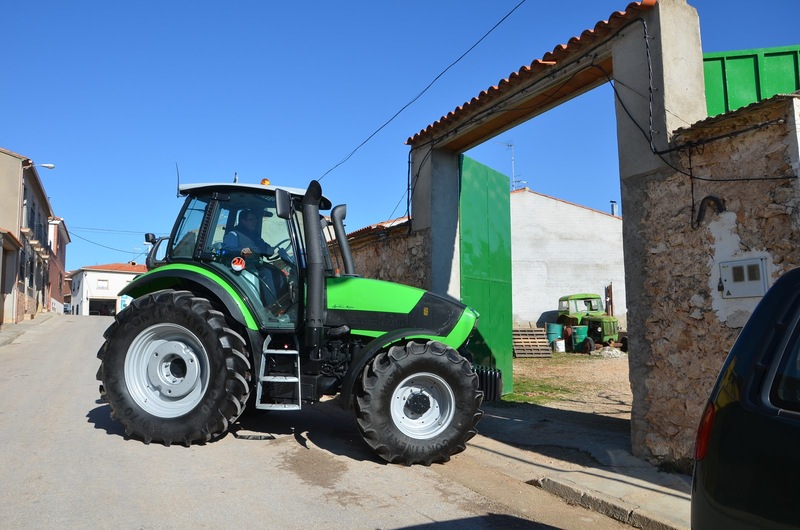 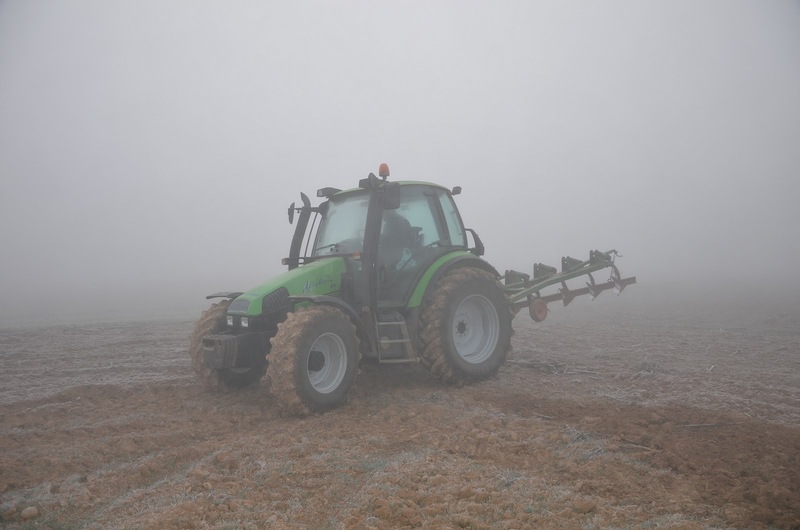 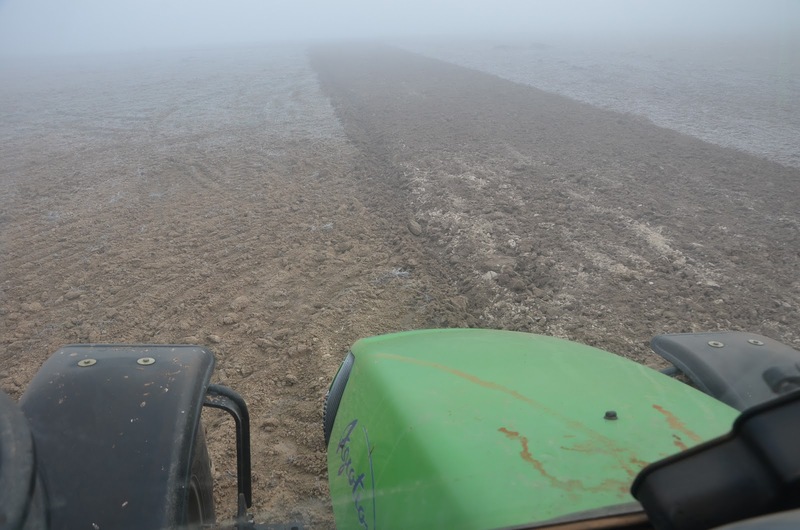 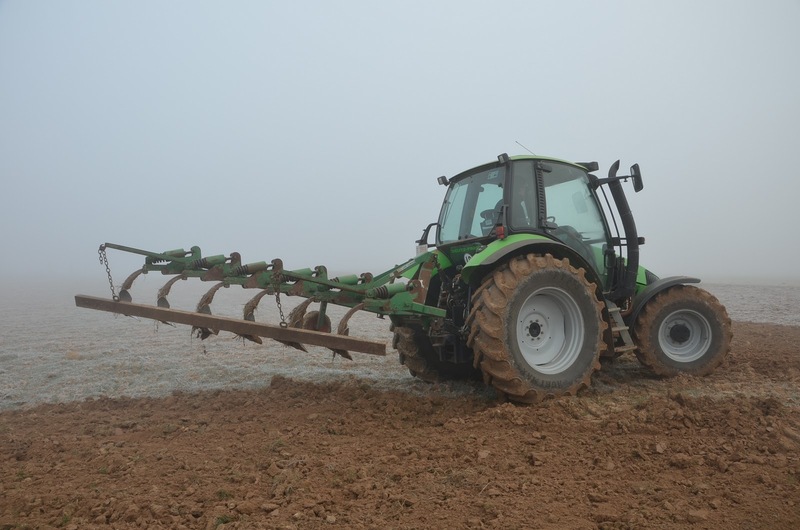 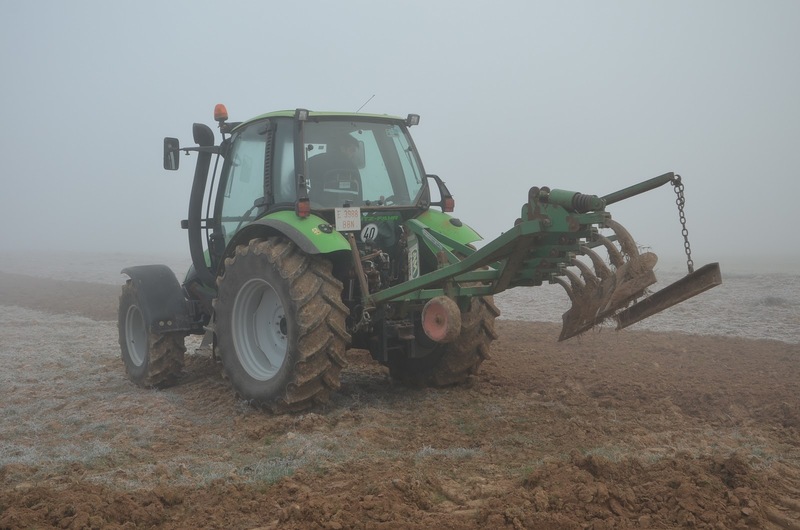 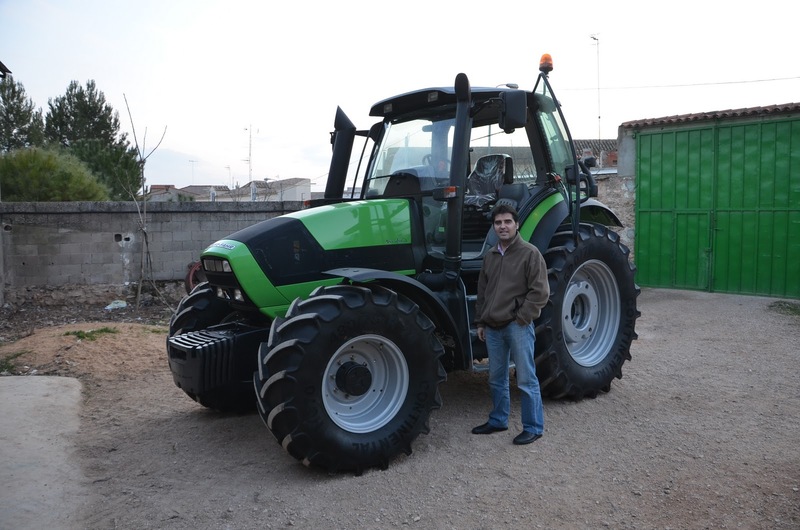 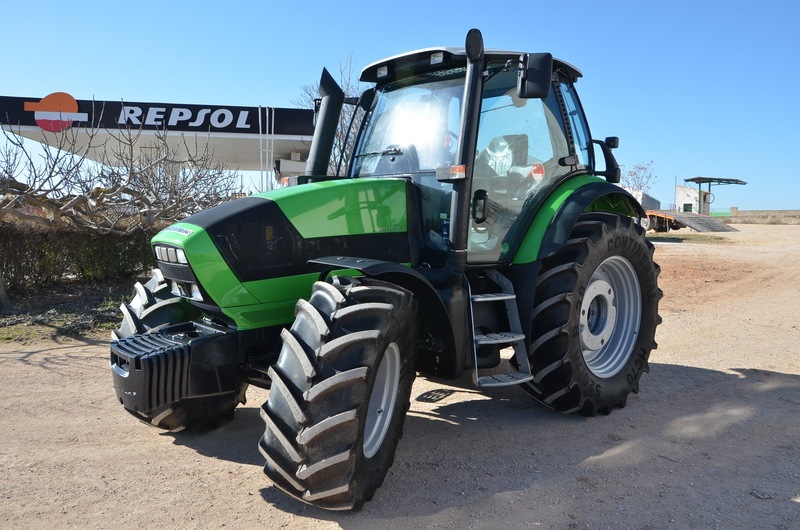 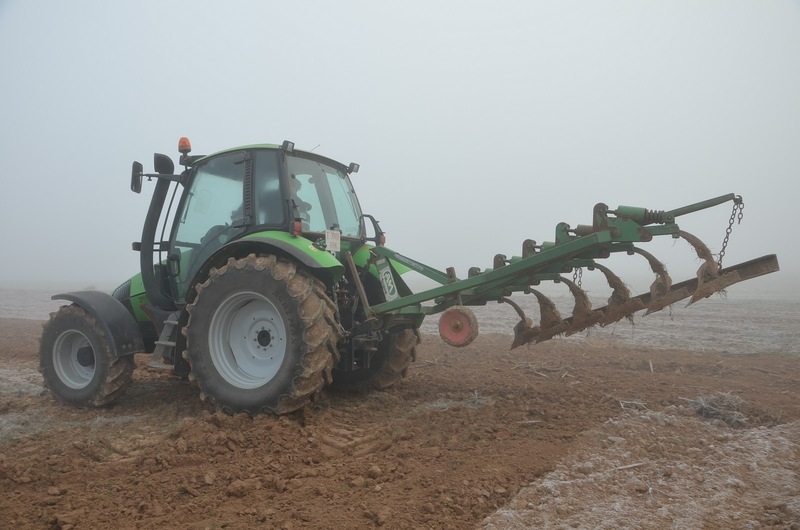 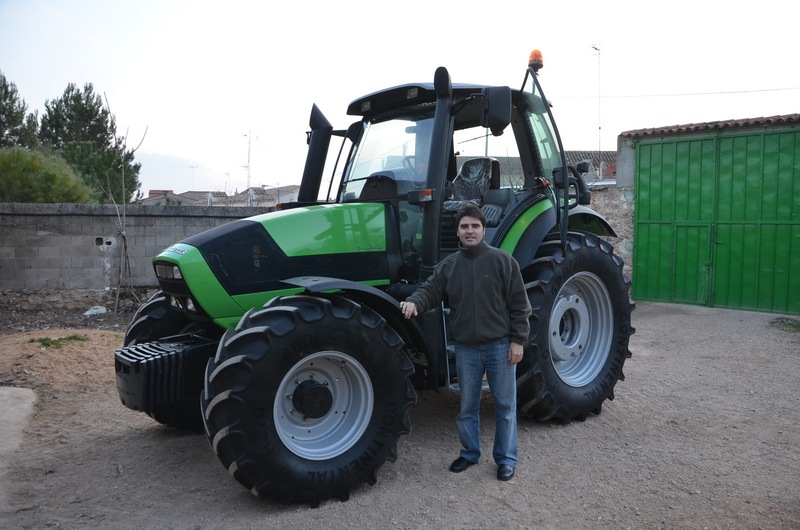 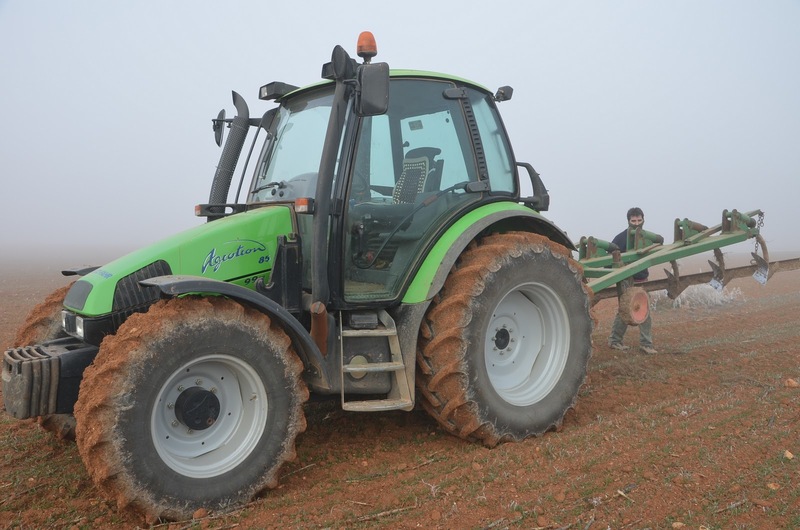 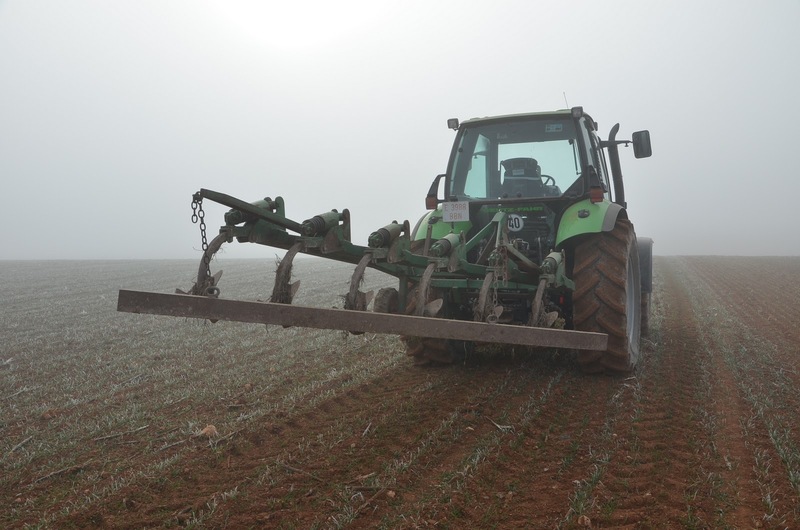 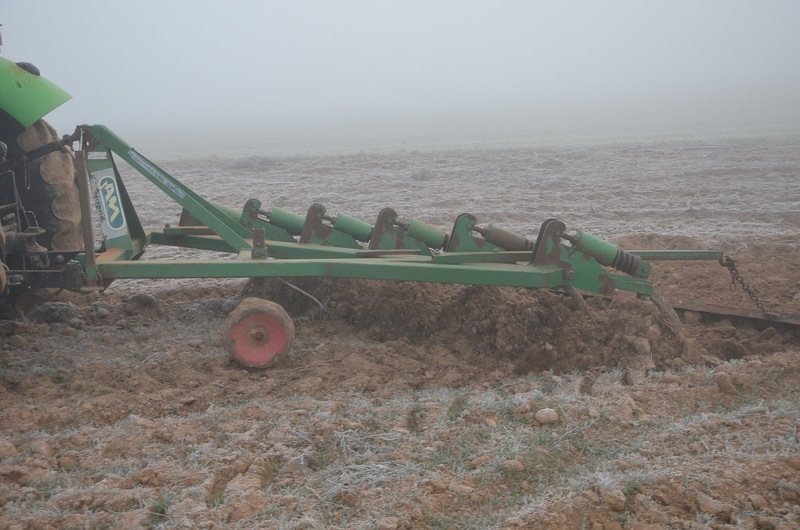 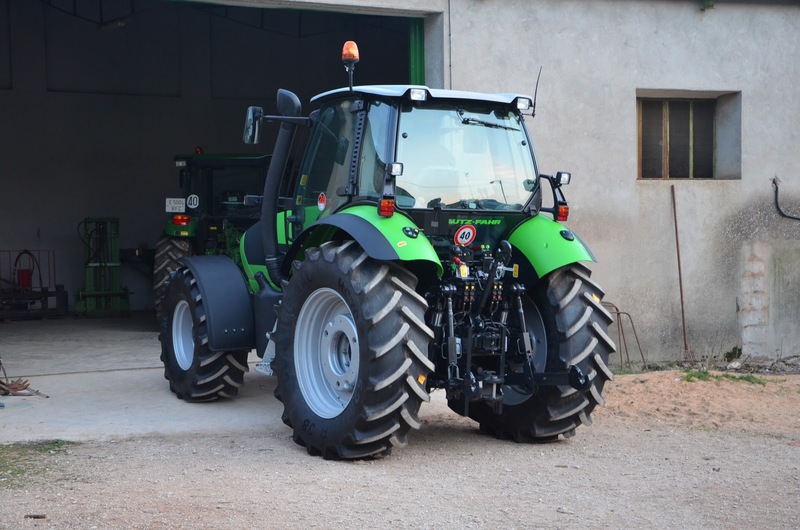 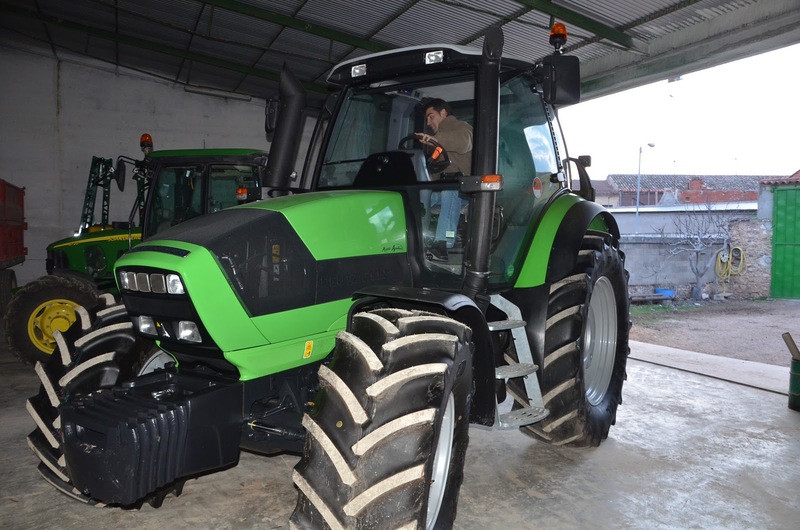 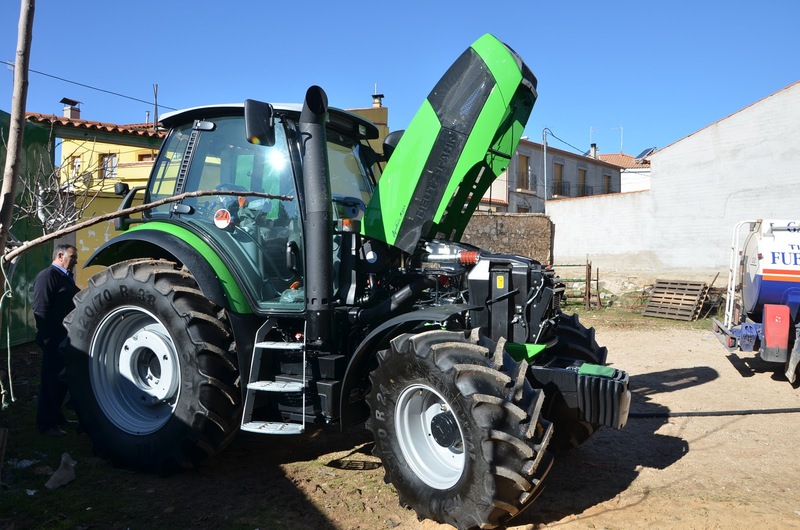 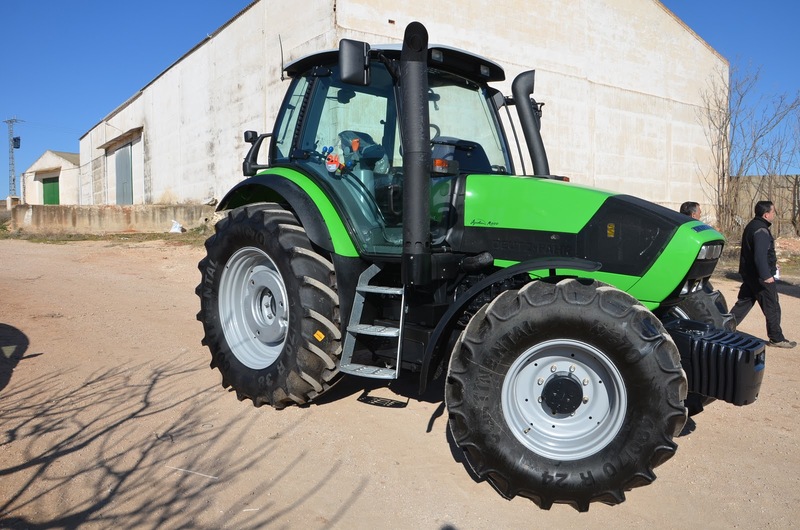 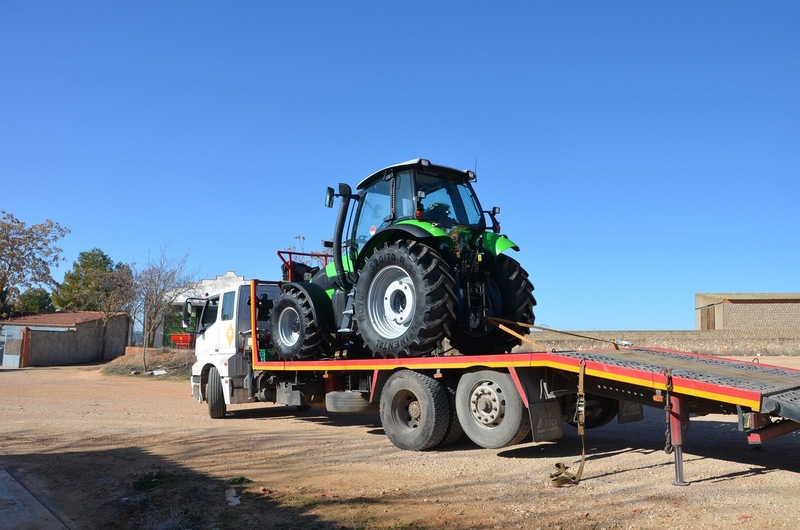 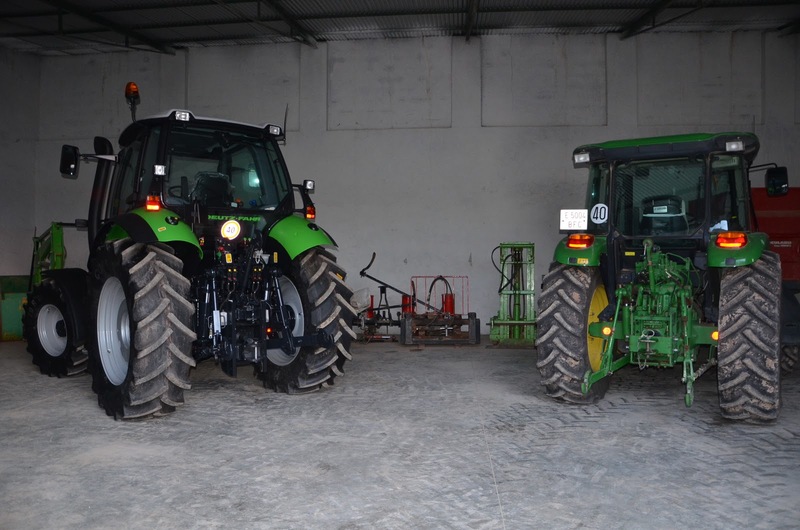 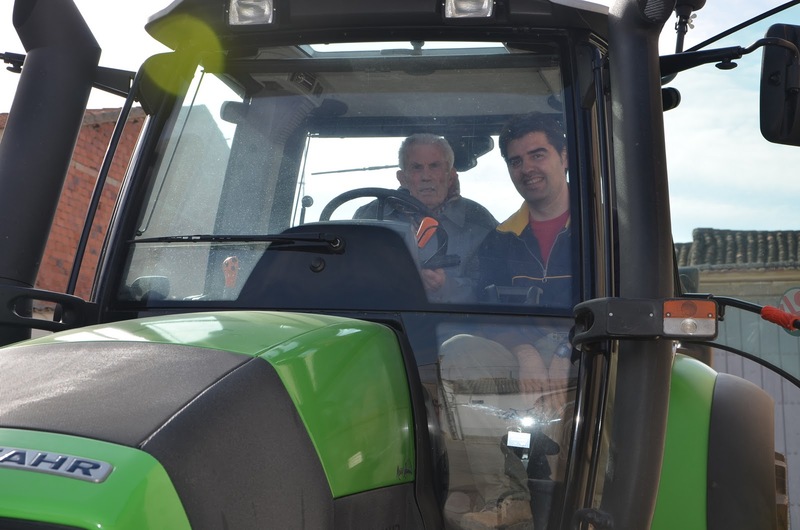 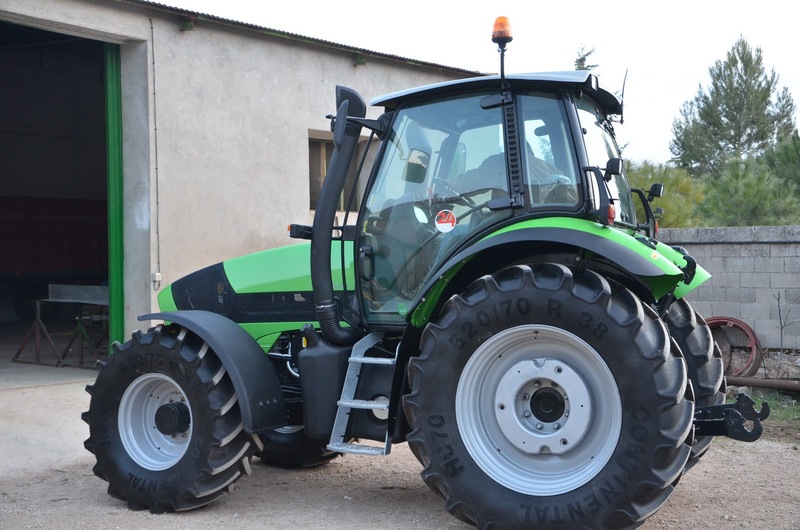 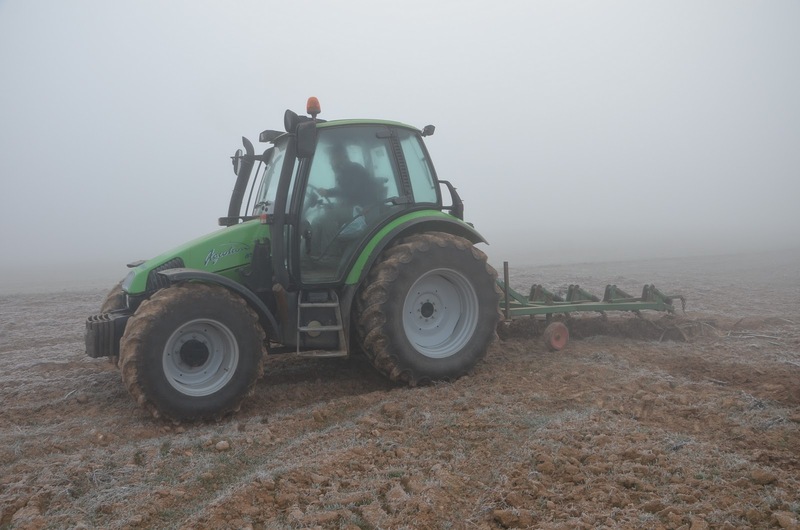 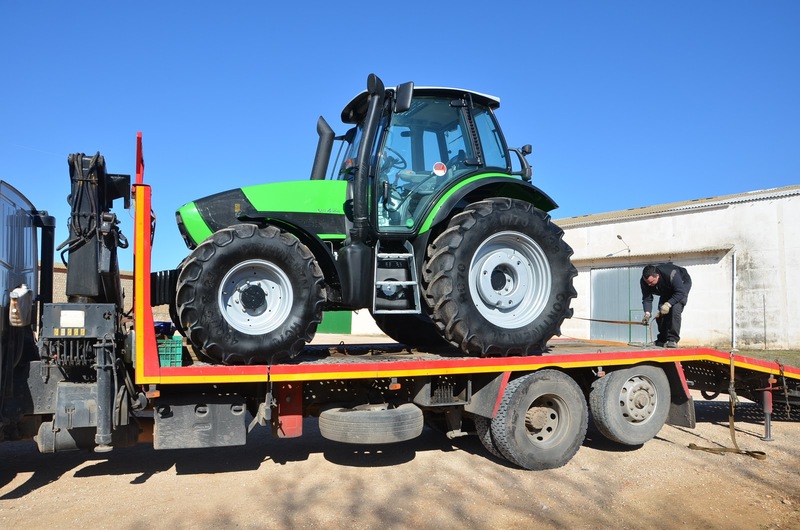 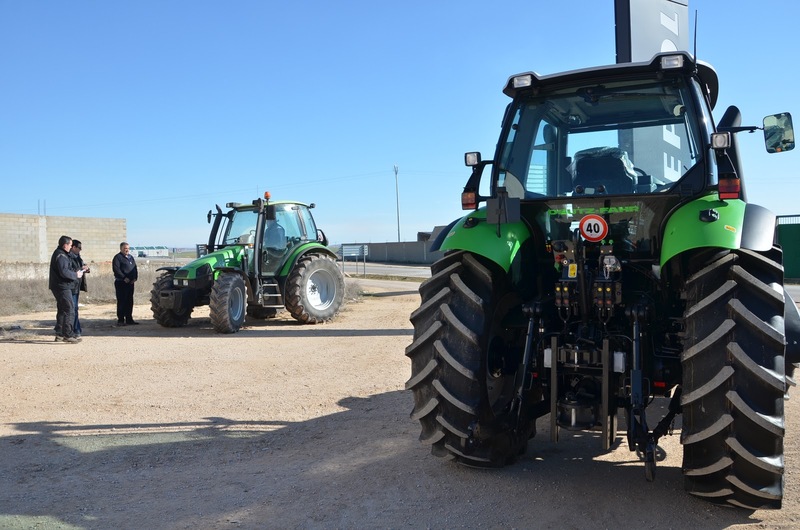 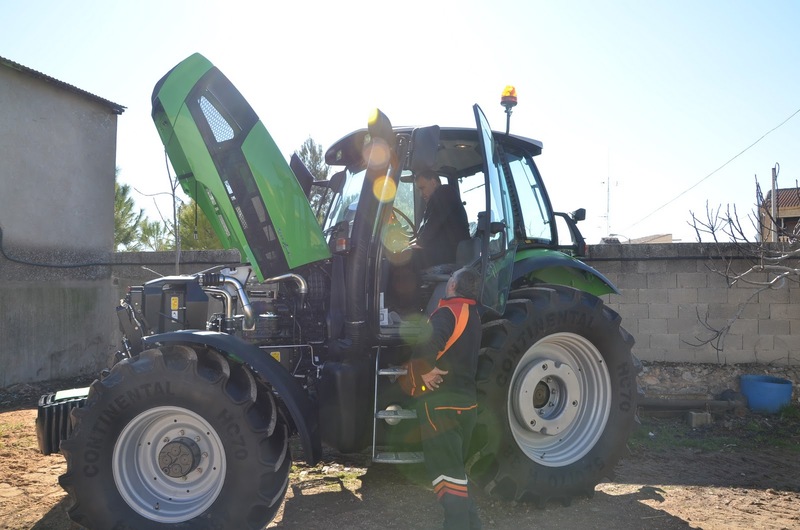 As we told you in last post, Agrotrac dealer delivered us a new Deutz-Fahr Agrotron M600 Comfort Plus on last Monday. 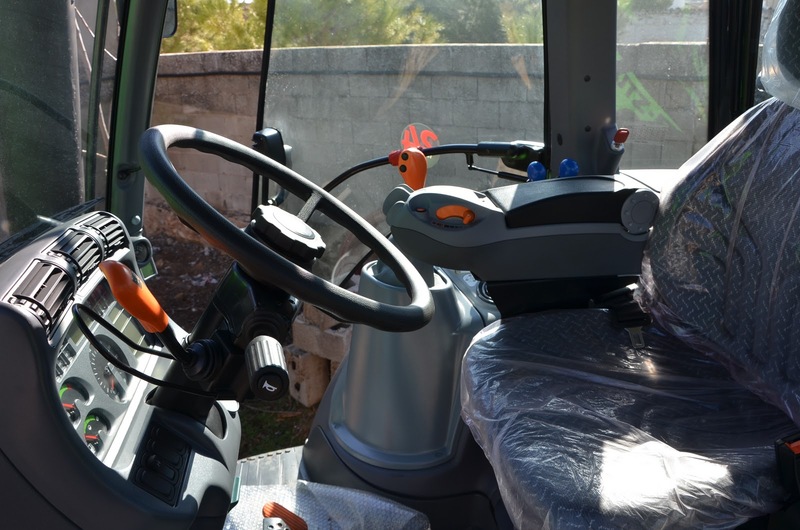 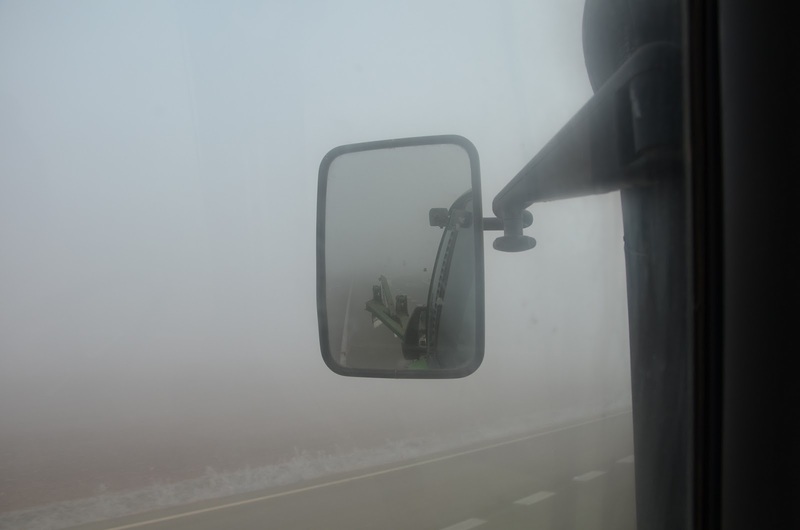 We haven't worked with it, we only tested it on the road and it stands out for its big comfort thanks its mechanical suspension in cab and its front axle hydro-pneumatic suspension. 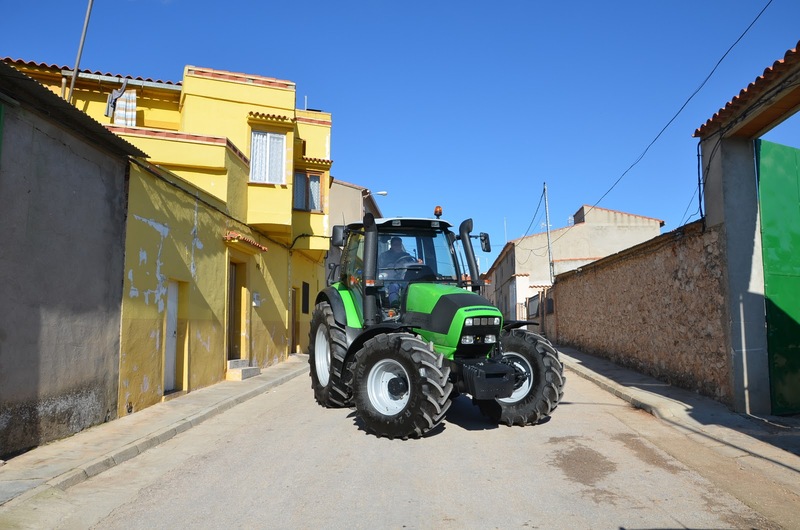 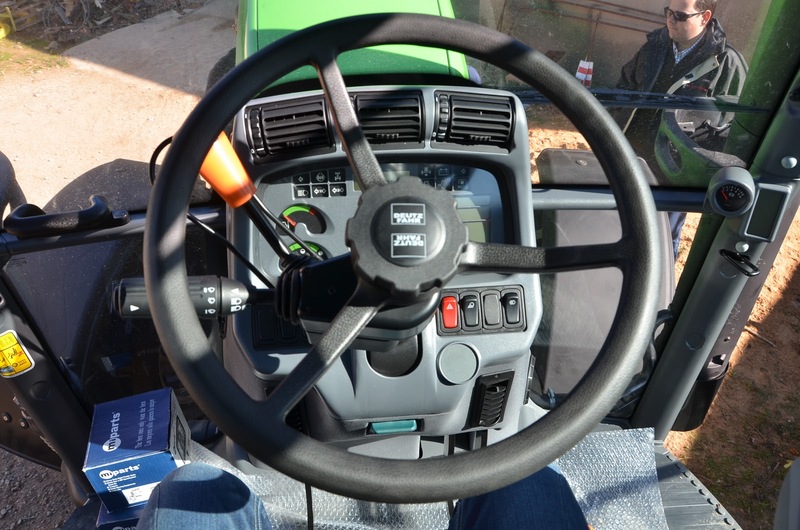 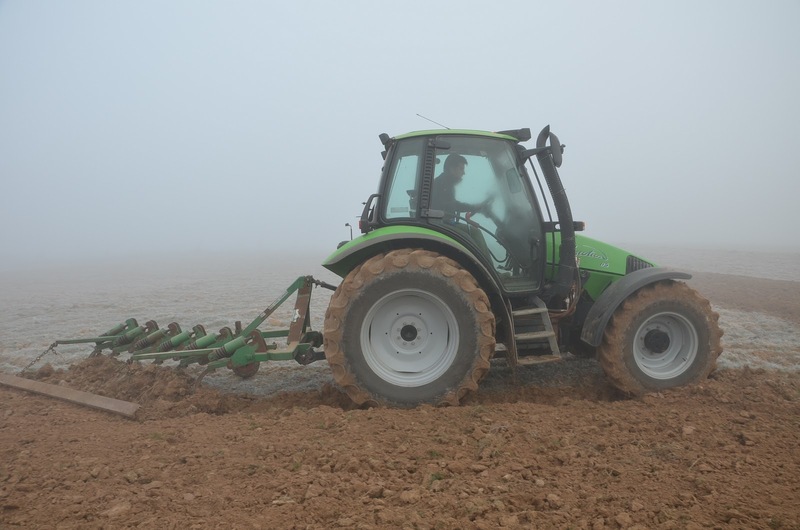 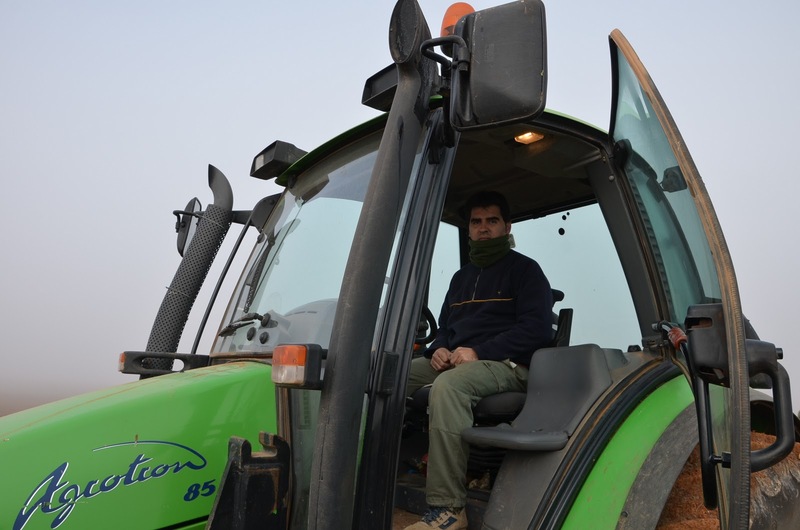 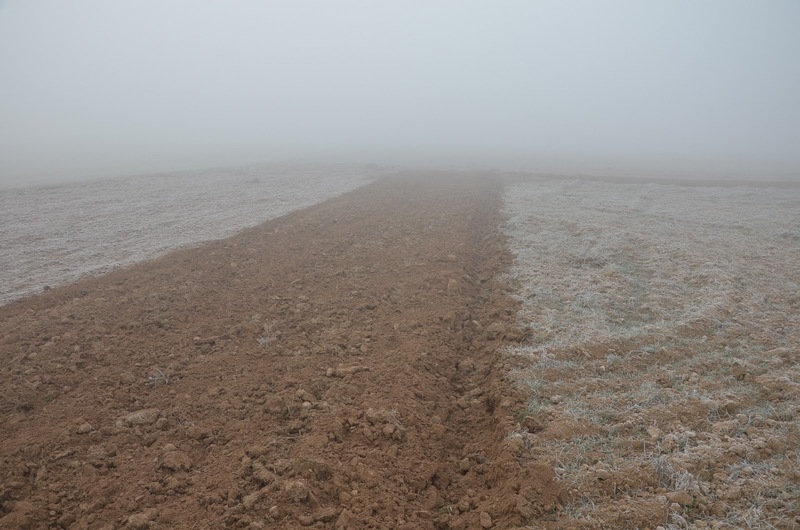 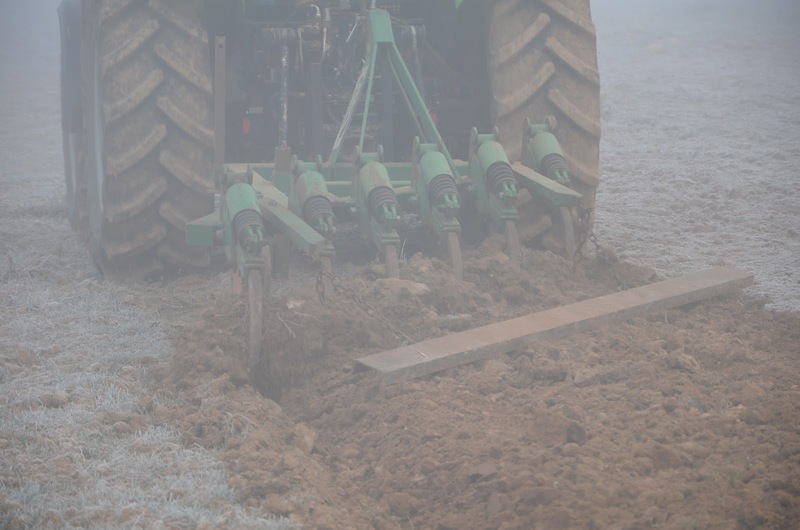 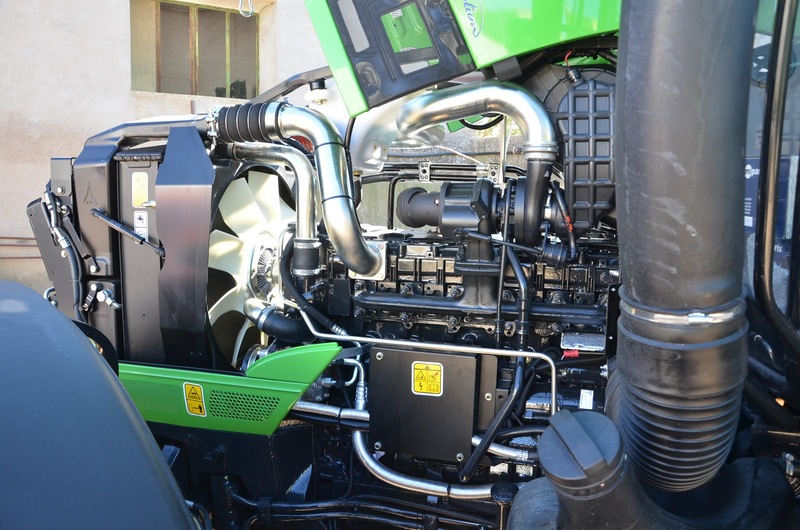 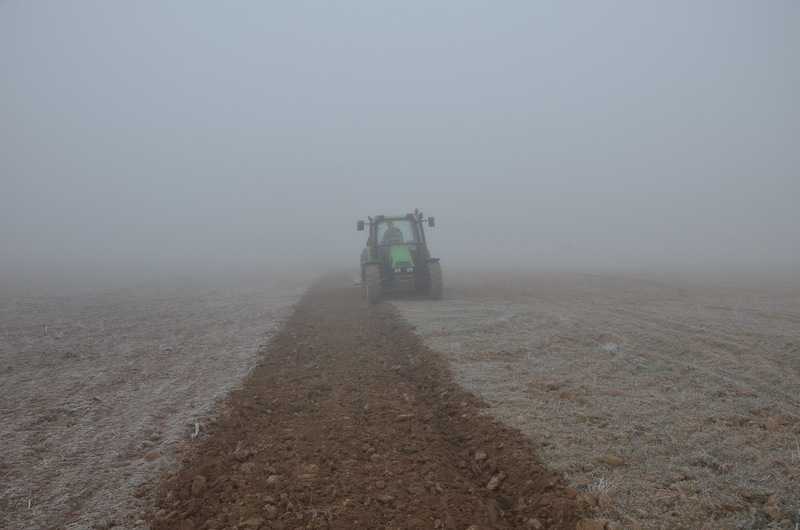 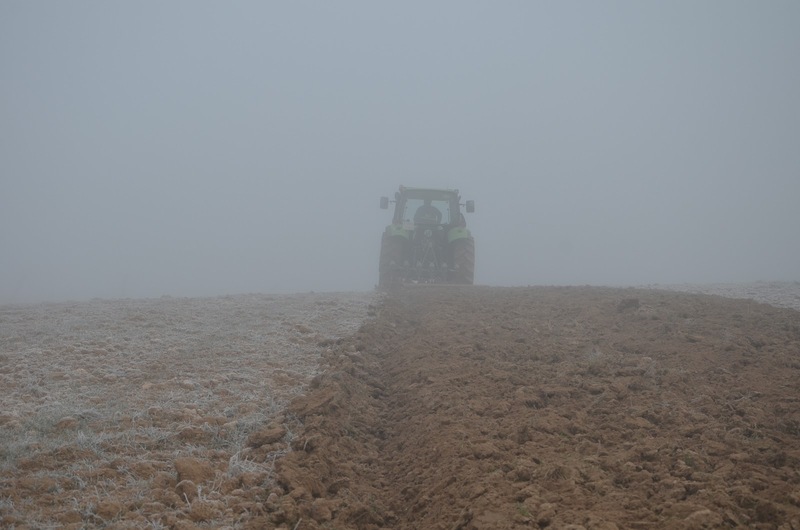 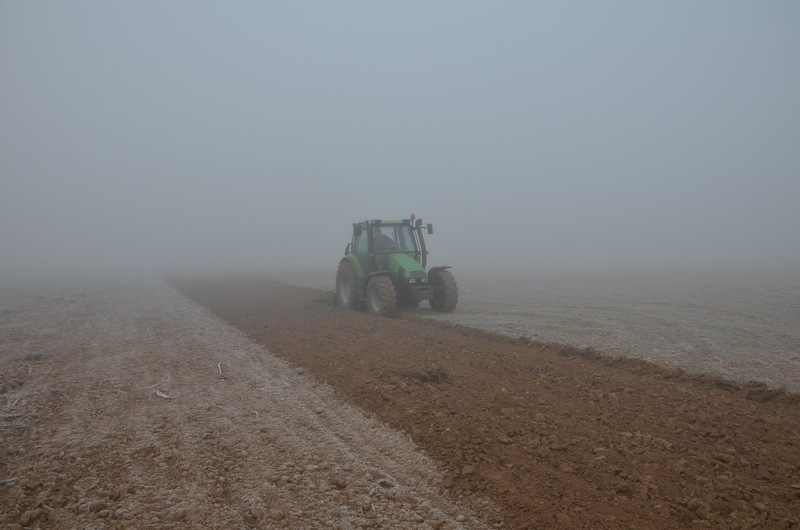 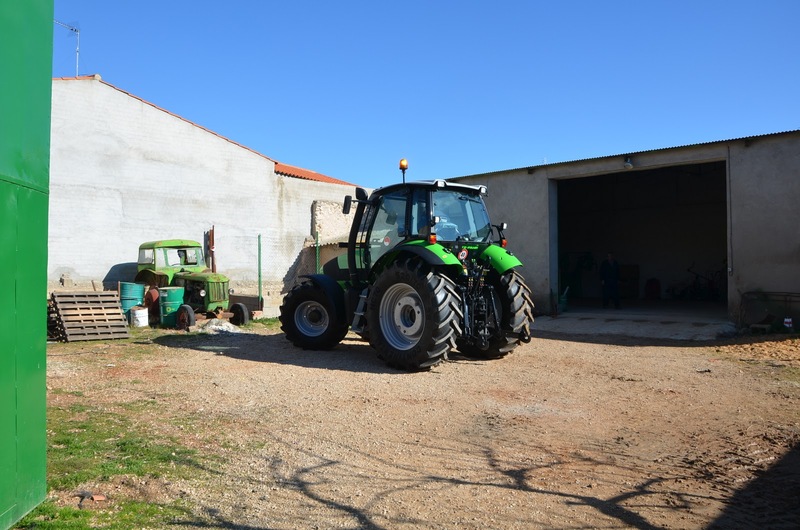 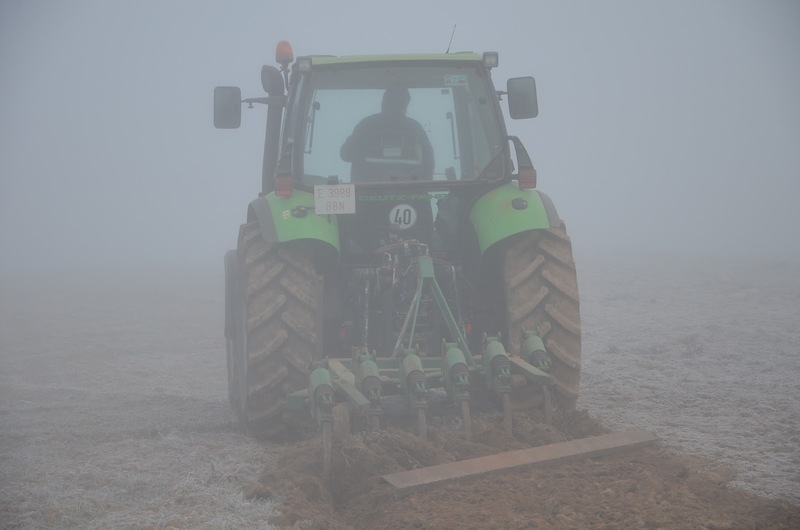 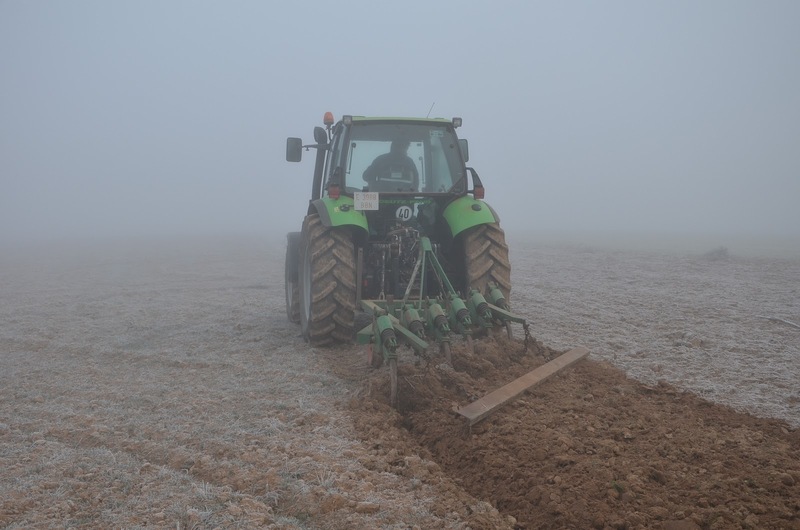 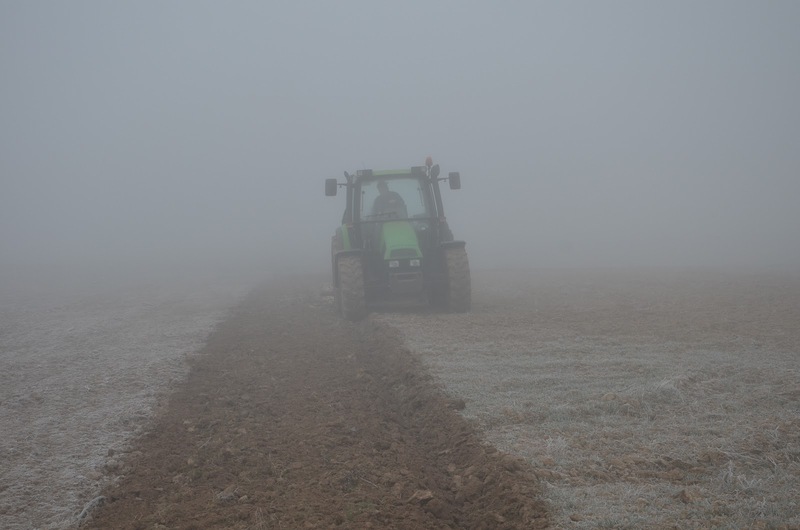 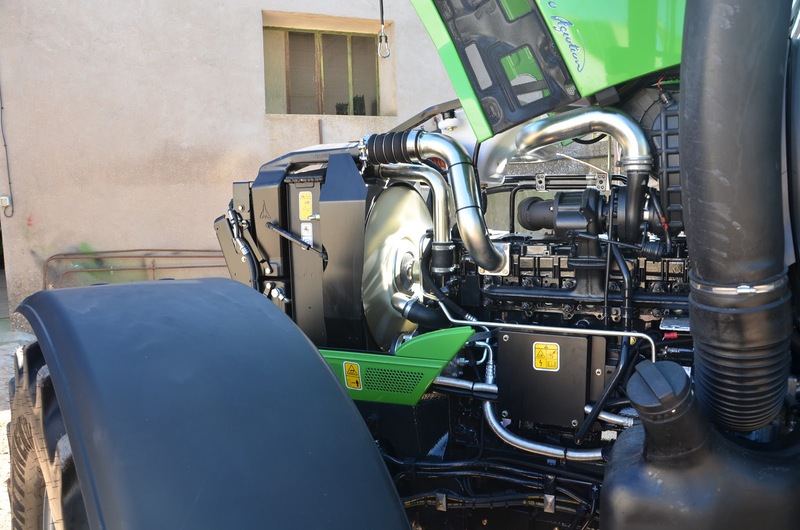 The sensations are formidable: 4 speed powershift are very soft on road, Deutz engine reacts very quickly, it gets high revolutions quickly and air breaks transmit a great control of the tractor. 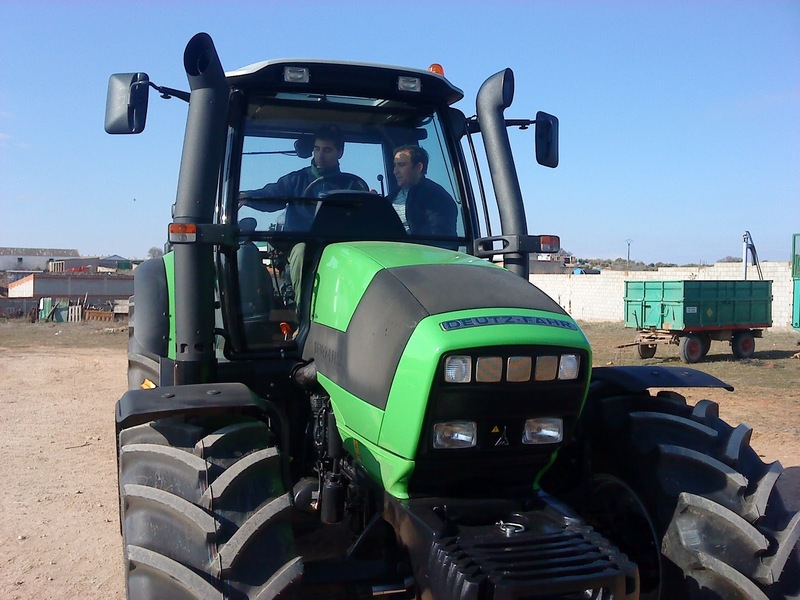 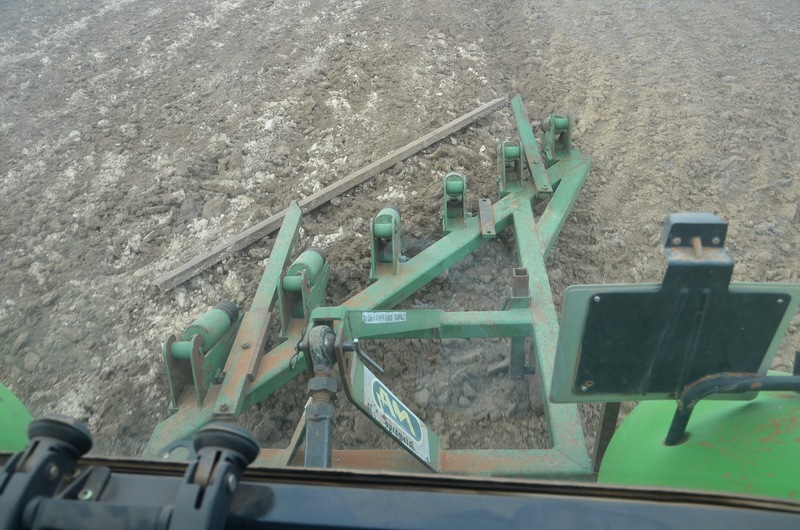 It is a great tractor. 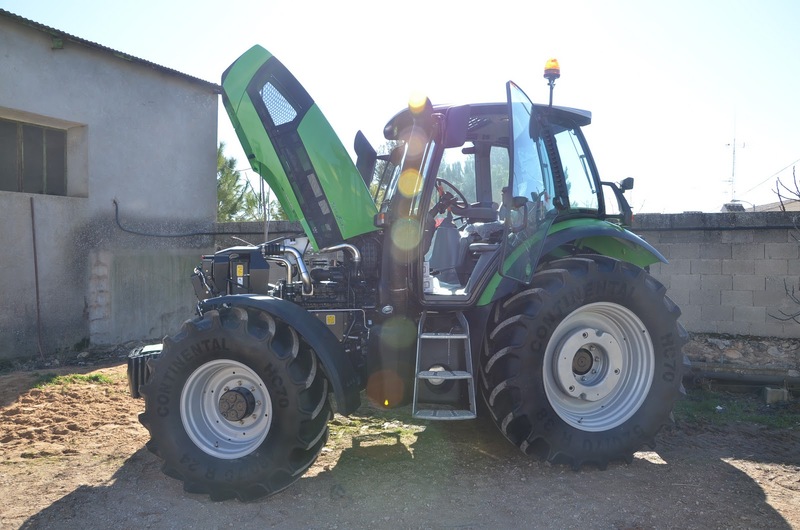 Deutz DCR TCD 2012 L06 2V engine with 6,057cm3 and 6 cylinders. 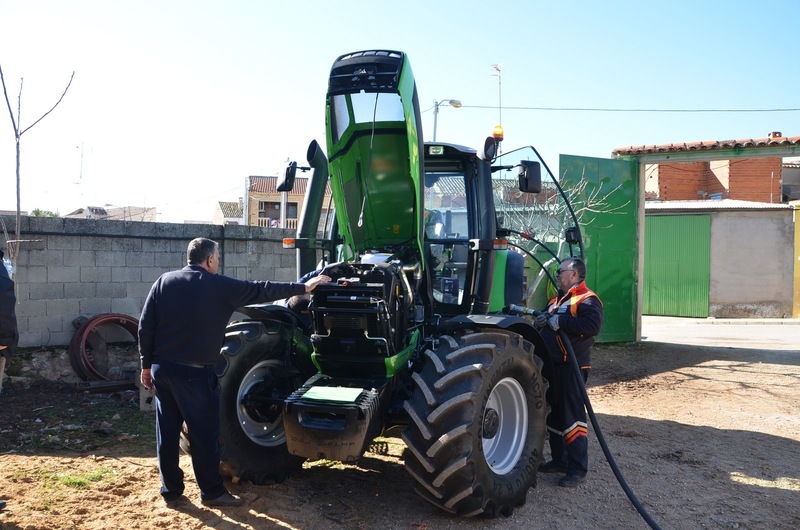 Tank capacity of 270 litres. 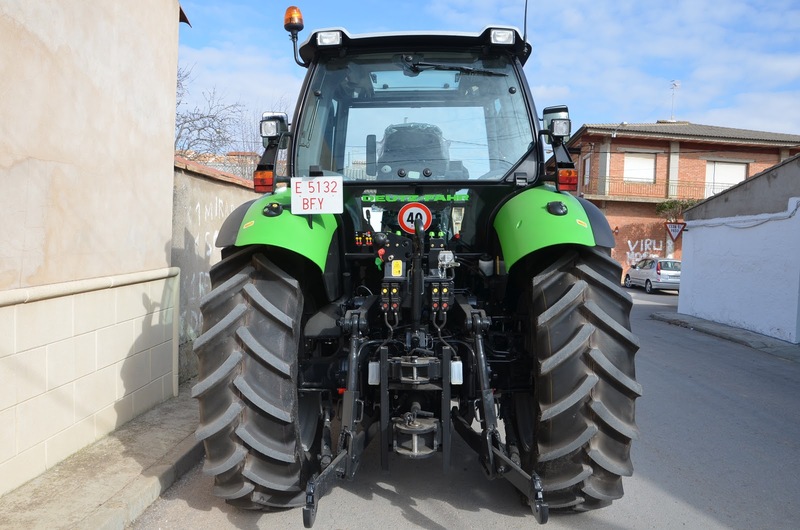 Gearbox ZF T7224: 6 speed range transmision synchronized and 4 speed powershift. 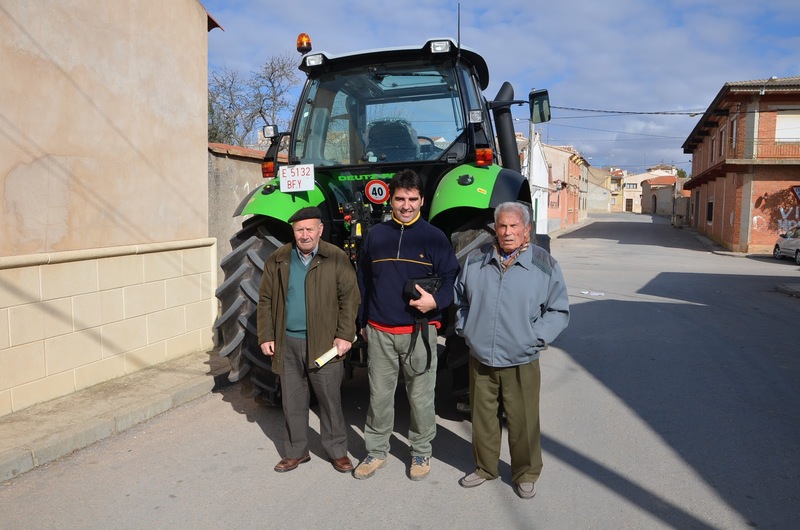 Nº of gears with creeper gear: 40/40. 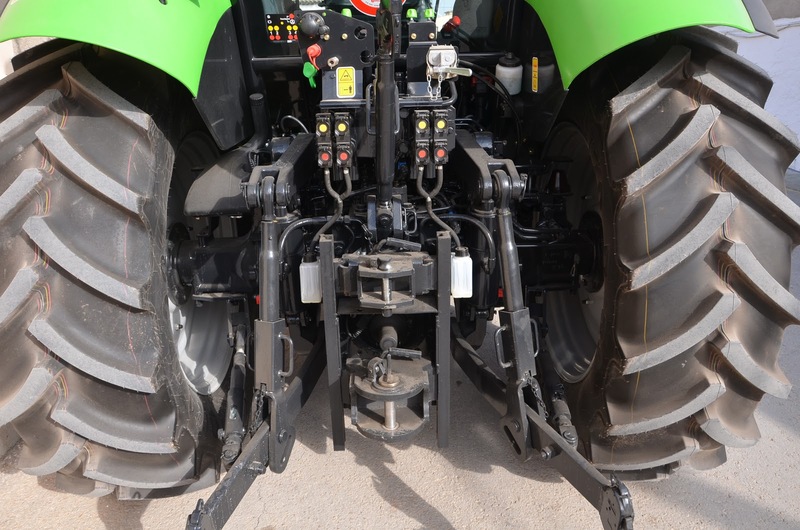 Mecanical suspension in cab and front axle hydro-pneumatic suspension. 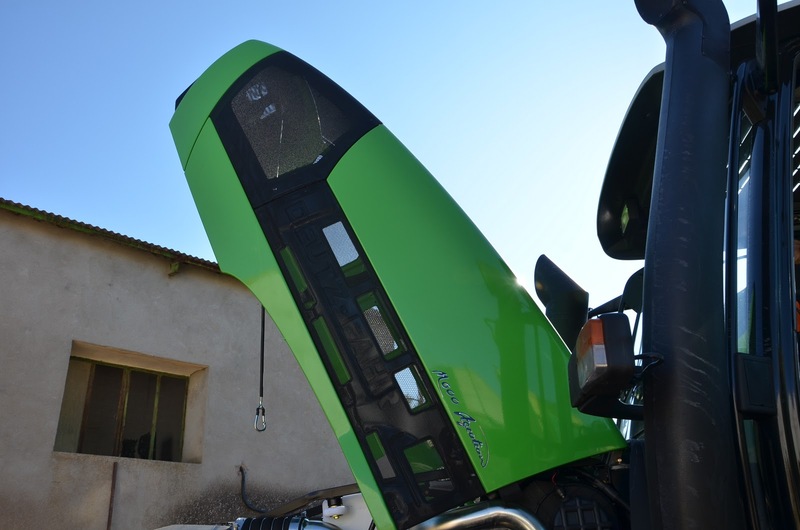 ZF Lifting force rear of 9,200kg. 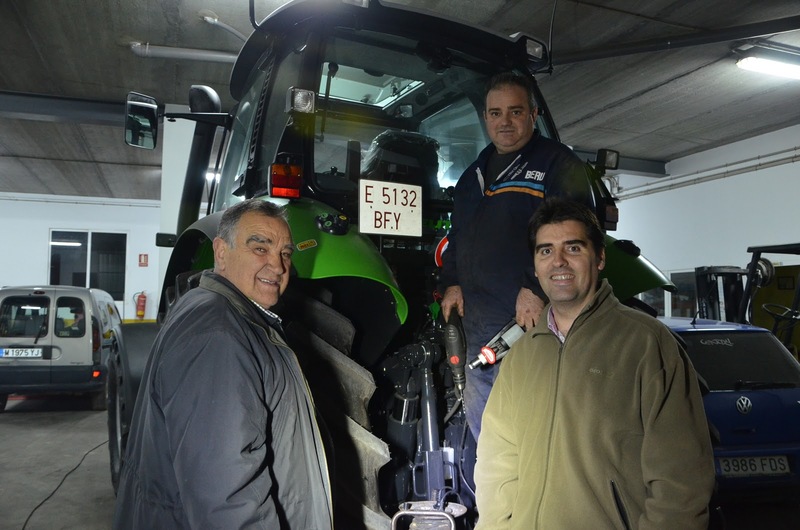 PTO of 540, 540E, 1000 and 1000E. 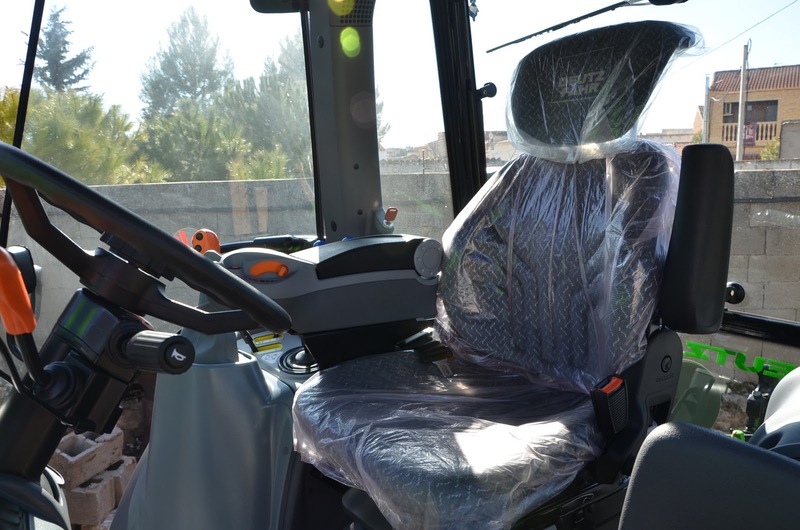 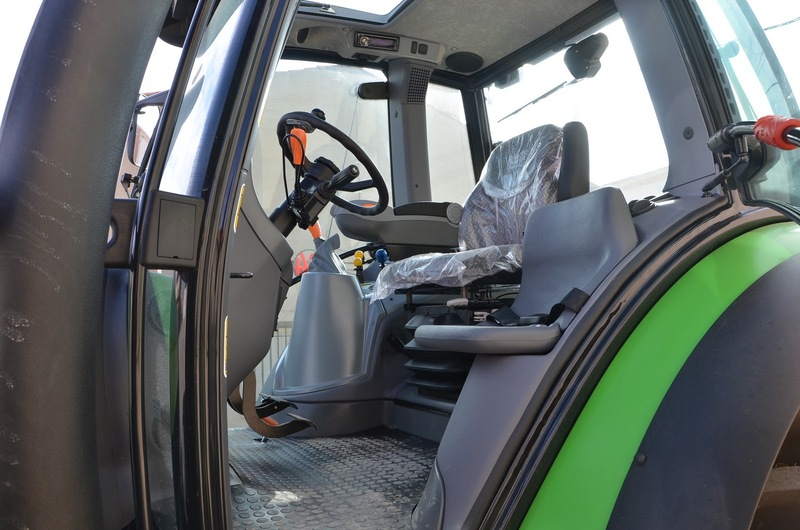 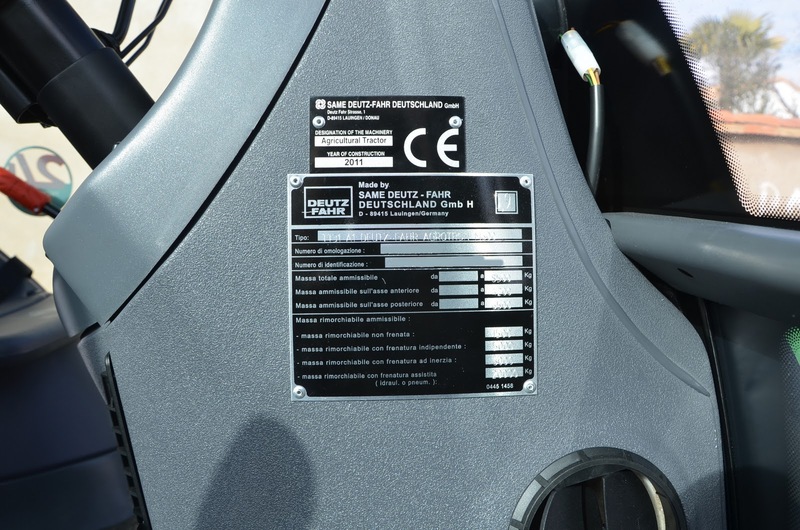 Integrated and sound-proofed safety cab with noise level of 73dB. 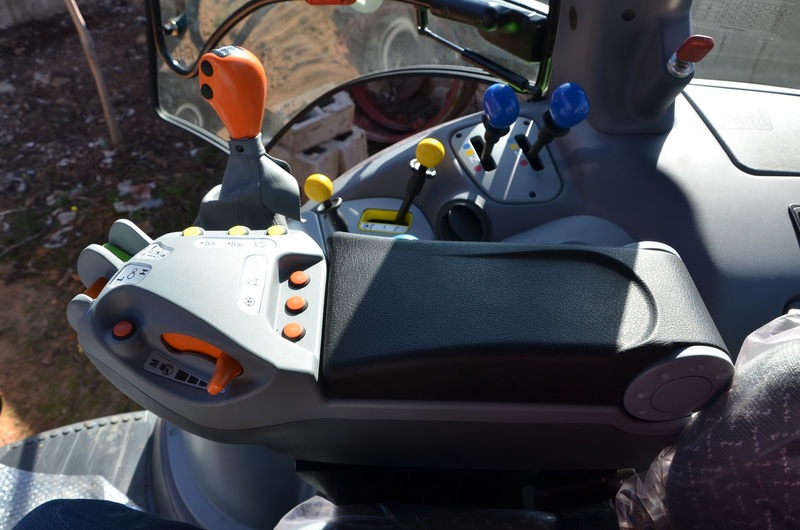 Pump flow rate of 83 l/min (open center) and 4 hydraulic remote valves. 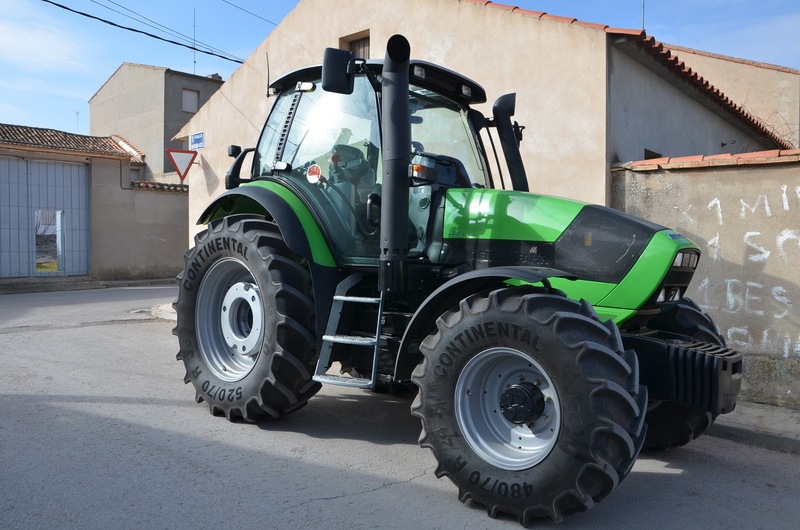 Continental HC 70 tyres: 480/70 R24 and 520/70 R38.